Raise your hand if you love cookies. I know I’m a big fan of cookies of all kinds. 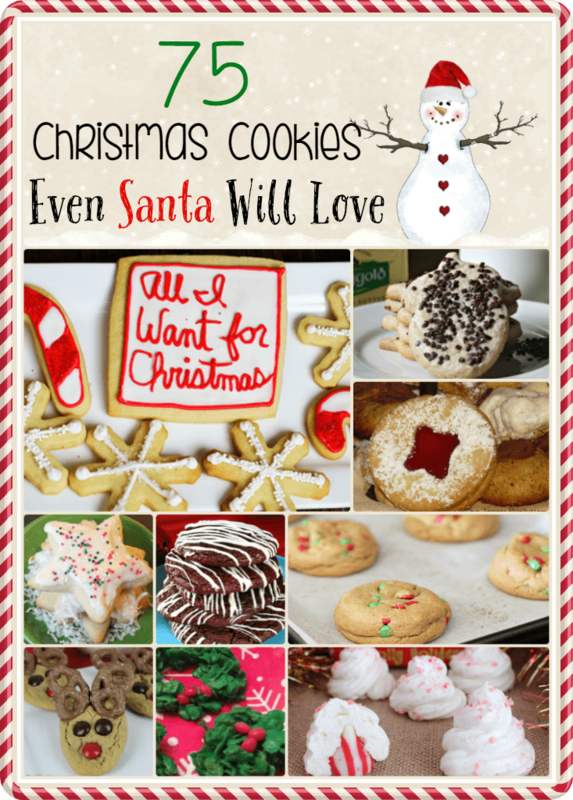 I wanted to share this round up of 75 Cookie Recipes because each one is delicious in its own way. The holidays only come around once a year, which means it’s the perfect time to make all of your favorite cookie recipes. I love making traditional cookie recipes but I’m also a fan of trying new ones. I figure with a list of 75 cookie recipe it would be really hard to run out. I’m always getting invited to various holiday parties, so I need a new recipe each time I go. I certainly don’t want to get caught making the same cookies over and over again. I hope you enjoy this round up of cookies and I’d love if you came back and told me what you made for the holidays. These cookies look amazing! I love the shortbread style with jame in the center! Gives a fruity sweetness! What a wonderful list. Now I have some new ideas to share with the grandkids. Great list, if you can't find the cookie you're looking for on it, it probably isn't worth baking! I love the variety of cookies. They all sound so delicious! Can't speak for Santa, but I know I will LOVE these. I am getting all my recipes ready for cookie making. I am excited to find this list! Looks like some great options. I love this list of wonderful cookies! I will be trying some of these! I'm going to pin these cookie recipes, my friend and I were just saying how we want to bake Christmas cookies! These sound delicious.